I have a charity polish to help dogs on the blog today!!!! I am so excited that I can finally share this polish with you guys! When Alison from Aliquid Lacquer first started talking about this polish, I knew I wanted to take part in this. I am a huge dog and pet lover. October is Adopt a Shelter Dog month and she has created a polish in order to raise money for the ASPCA. If you are familiar with this line of polish, you will notice there is a dog on the label. That is Trudy, Alison's rescue pit bull mix. I myself had a rescue dog, but we adopted ours after she was dumped on the side of the road. She was so skinny you could see her bones. Sadly, she passed last year, but I still love pets and dogs. This polish, called Puppy Love retails for $11 and she is going to donate $5 from each bottle sold to the ASPCA. Her goal is to sell 50 bottles this month and lets help her do it! Do it for the doggies!!!! 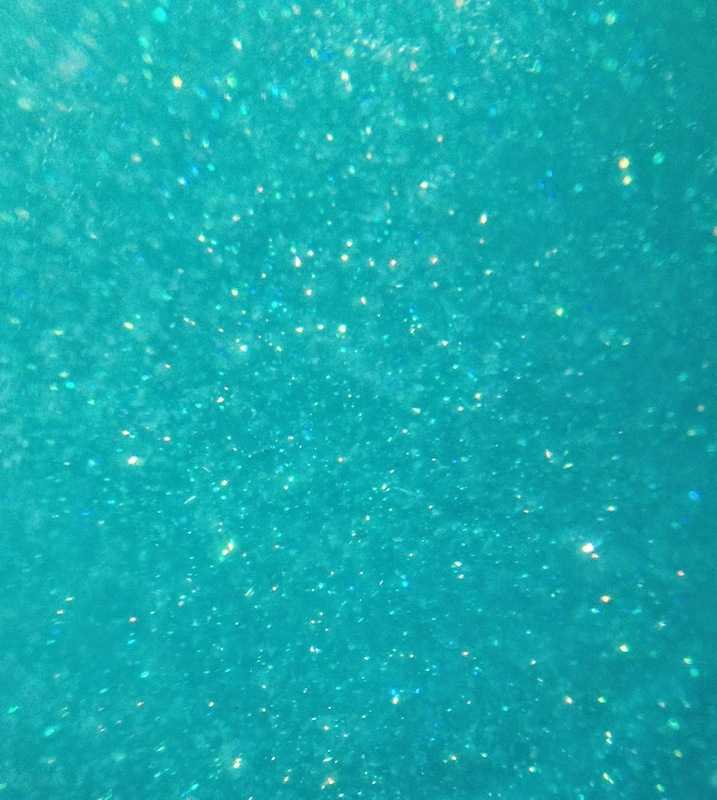 Aliquid Lacquer describes Puppy Love as "a bright teal with ethereal pink and gold flecks and a holographic shimmer. Opaque in three coats." 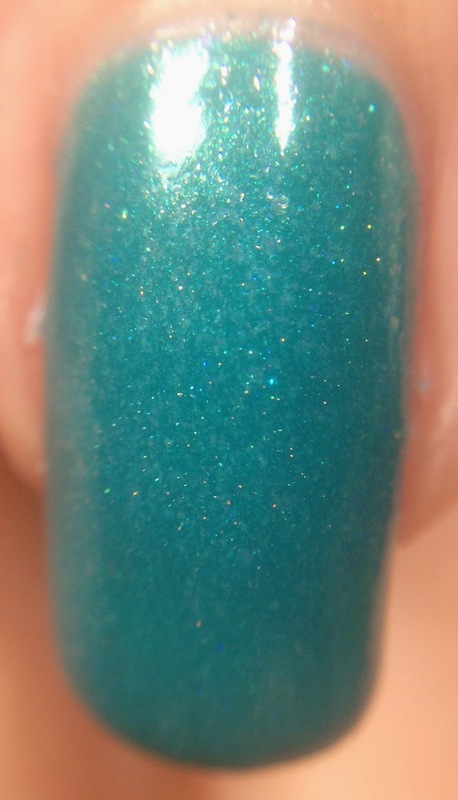 This polish is so dang pretty, it is amazing. 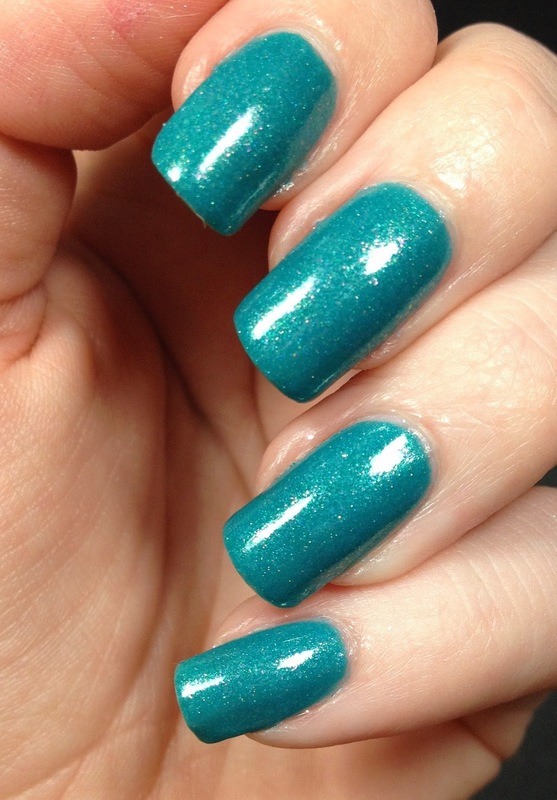 The shimmer and the flecks really make this polish glow from within!!! I had zero issues with application and I used the three recommended coats. Its such a lovely color for such a great cause.